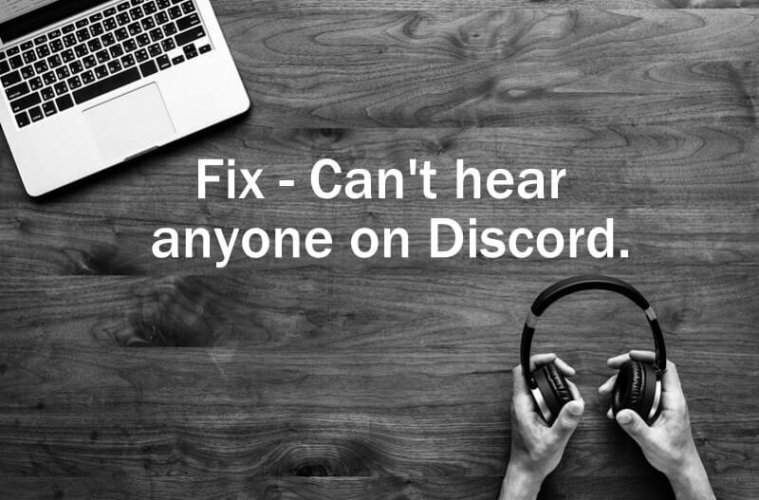 Can’t Hear People On Discord – Working Solutions to Fix. Multiplayer’s Games are getting more popular each day. And, because of PUBG and Fortnite, mobile users also able to play Multiplayer’s Games. These multiplayer games comes with in-game voice chat feature. But, in-game voice chat doesn’t work many time due to server lag. That’s why, Discord is first priority for many Gamer. But recently, Users are facing voice chat problem in Discord. They can’t hear people on Discord. Means, other users able to hear your voice. But, you can’t able to hear other on Discord. And, even green green circle also appear, when someone speak from your chat room. It’s quite annoying. Although, with update discord already fix this voice chat bug. But, if still you’re facing similar issue. Then, read this article, to get to know some working solutions. Why can’t i hear anyone on Discord?. There isn’t any specific reason behind this problem. But, possibly this problem occur due to improper audio settings. Or, due to interference in audio settings by third party software. If you’re using any Discord Voice Changer, then also this problem can occur. And, issue can also occur due to outdated Discord App or outdated sound driver. IMPORTANT – If discord not picking up mic. Then, read my article on “Discord mic not working“. 1 Can’t Hear People On Discord (SOLUTION). 1.1 1. Set Default Playback Device. 1.2 2. Change Output Device. 1.3 3. Reset Voice Settings. 1.4 4. Use Web Version of Discord App. Can’t Hear People On Discord (SOLUTION). 1. Set Default Playback Device. If you’re using Discord settings on default. Then, Discord will use your system’s default input and output device. And, if wrong audio device is selected as default. Then, you can’t hear anyone on discord. Because output is going into wrong device. 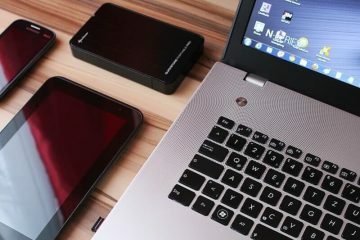 Although, Windows automatically select newly connected device as default. 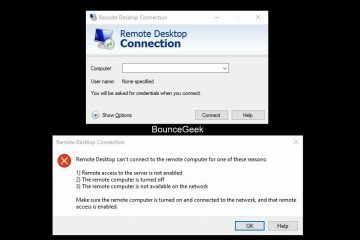 But, if Windows can’t able to select default device, due to some third-party software. Then, you have to do it manually. 1. Open Control Panel, Click on hardware and sound. 2. Click on Sound option. 3. A Sound Window will appear now. 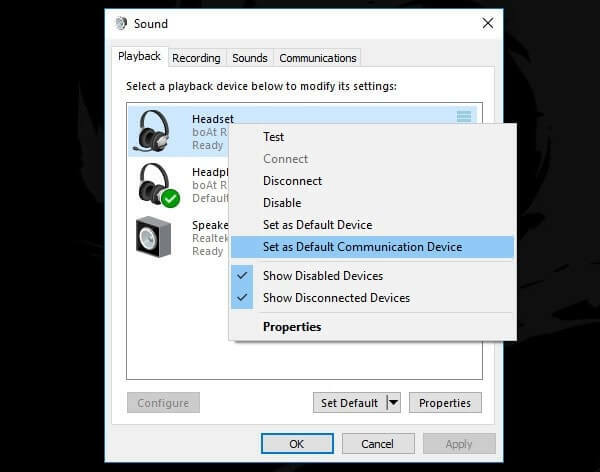 Right click on connected headphone, and then select “Set as Default Device” option. If you’re headphone comes with inbuilt microphone. 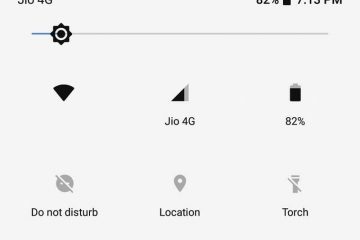 Then, in playback device, you will able to see headset and headphone two option of same device. Headset (device microphone) – So, for headset you have to select “Set as Default Communication Device”. 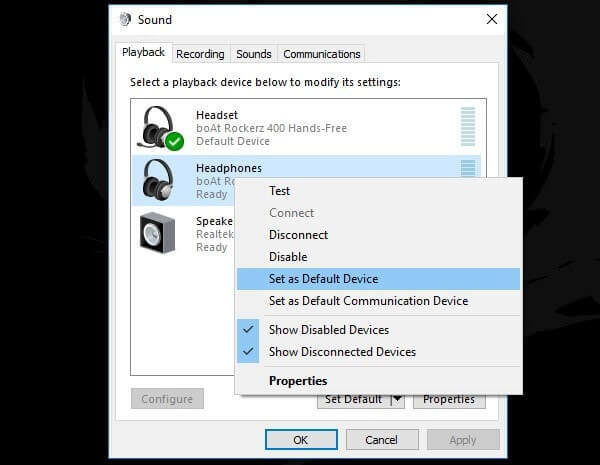 Headphone (device speaker) – And, for headphone you just have to select “set as default device” option. That’s it. after selecting both these correct option. Your problem will get resolve permanently. This is the easiest solution that you will try. Discord voice settings comes with two option. Input device and output device. Input device is for the mic, so that, other people can hear you. But, in our case, we can’t hear people on discord. So, by selecting right output device we can fix this problem. For Example – By default if your system output device is selected computer speaker. Then, you will able to hear other people voice in Computer speaker. Not in connected headphone or earphone. You can remove headphone to check. 1. Open Discord App in Windows. 2. Click on “User Settings” icon, which appears in right side of your discord name. 3. After that, Discord settings page will get open. Click on “Voice & Video”. Note: Make sure you are able to hear a sound beep after selecting the device. Also, set output volume bar to max. That’s it. now hopefully your problem will get resolved. Apart from input output device settings. Discord comes with some other voice settings options. And, if you have made any changes in those options. Then, also due to some wrong settings you can’t hear people on discord. So, by resetting voice settings of Discord you can fix this problem. Alternatively, you can reinstall Discord App. But, it’s not the right way to handle this issue. 1. 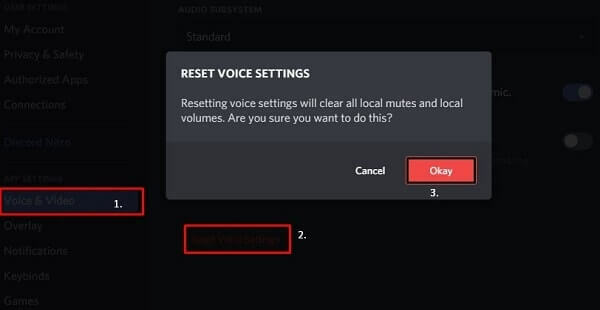 To Reset Voice Settings in Discord. Open Discord App in Windows, and, click on user settings (gear icon). 2. Click on Voice & Video. 3. In Voice Settings Page, scroll down till the end of the page. 4. You will able to see “Reset Voice Settings” option. Click on it. A confirmation window will appear with an message. Click on “Okay” to reset. That’s it. Now, try to communicate with friends. If still you can’t hear anyone on discord. Then, make sure right audio input and output device is selected. Because, resetting voice will set all options to default. 4. Use Web Version of Discord App. Discord is cross platform application, available for Windows, Mac, iOS, Android and Linux. And, you can use Discord through your web browser, without downloading it. If after trying above solution “Can’t Hear People On Discord” issue doesn’t get solved. Then, I suggest you to use web version. And, before trying web version, you should try playing some YouTube video in web browser. To just make sure that you are able to hear sound. Use only Chrome browser for Discord web version. Also, don’t forget to give mic permission to Chrome, so you can communicate. Previous ArticleYour Windows License Will Expire Soon Fix – Activate Windows. Next ArticleBest Emulator for PUBG Mobile – PUBG Emulator for PC. 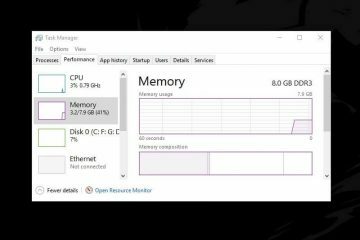 10 Solutions to fix task manager not responding Windows. 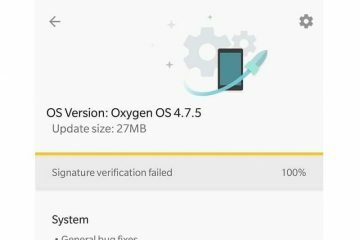 How to Fix Signature Verification Failed OnePlus Devices Error.